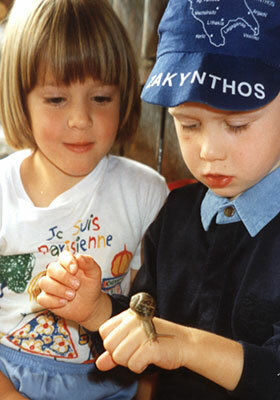 Back in 1988 Children 1st began as a single day nursery in Long Eaton. Fast forward over a quarter of a century and we’re now one of the best childcare providers in the UK. Our founder, Margaret Mason, is the driving force behind Children 1st. Margaret and her family set up the business in 1988 and her dedication to delivering the very best care and education for children is as strong today as it was then. As we’ve grown we have developed a team of experienced and skilled managers who are not included in our staffing ratios. These people work at our centres, monitoring and improving standards and training staff to ensure that your child receives the very best care, support and education. We also have a team of administrative staff which means that these experienced childcare experts can devote more time to the care and needs of your child. Children 1st Day Nurseries is born! We purchased our first nursery on Breedon Street in Long Eaton. This nursery was called ‘The Berries’ and had only 24 registered children at the time. We take our next step and open our second nursery ‘Briar Lodge’ also located in Long Eaton. 7 years after we began, we open Children 1st @ Sheffield, our largest nursery to date. Located in Sheffield city centre this diverse nursery is very popular with parents working in the city centre. Back near to where it all began, we open Children 1st @ Toton. 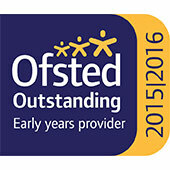 This nursery large and spacious nursery is rated as “Outstanding in all Areas” by Ofsted. Children 1st @ Derby Road opens. Our second nursery in Long Eaton, Children 1st @ Derby Road is also currently rated as “Outstanding in All Areas” by Ofsted. Breedon Street is closed and converted into a house. Briar Lodge is converted into our new Head Office and Training Academy. Expanding further across the East Midlands, we opened Children 1st @ Leicester in 2005. 2006 was a busy year for Children 1st as we also opened Children 1st @ Clowne. 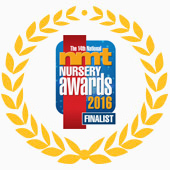 Located within a purpose built building, this nursery is truly unique and has been shortlisted for the Nursery Management Today Indoor and Outdoor Learning Environment Awards. 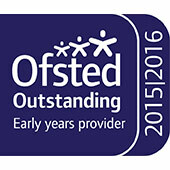 In 2009 we opened what was to become another of our “Outstanding in All Areas” nurseries. Children 1st @ Shepshed is located within a huge 400 year old building and features an amazing outside space which all children love. 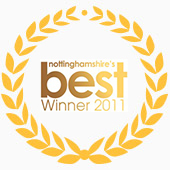 In 2011 we were delighted to be named Business of the Year at the Derbyshire and Nottinghamshire Chamber of Commerce's Nottinghamshire's BEST Business Awards. Moving across the Midlands to Stoke, We opened Children 1st @ Meir Park. This was to become another “Outstanding” nursery. 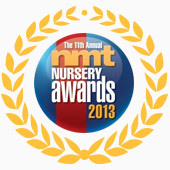 Double award success at the Nursery Management Today Awards. We scooped Nursery Group of The Year and our Founder Margaret Mason won a special lifetime achievement award. Just before Christmas 2013, Jessica Lee MP for Erewash opened our New Head Office and Training Academy at Mayfield House in Long Eaton. The enhanced training academy has enabled us to expand our partnership with local schools and colleges, Job Centres and Government agencies such as the Skills Funding Agency and to provide an increased number of apprenticeships for young people wanting to work in early years’ education. Please click here to read press coverage about the academy. 2014 has been our busiest year ever with 4 new nurseries opened. We moved East into Lincolnshire and opened Children 1st @ Wragby Road, Children 1st @ The Marina and Children 1st @ Monks Road. We also opened our second nursery in Newark, Children 1st @ Newark Town. 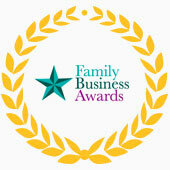 More award success for Children 1st founder Margaret Mason. Margaret was named as one of the most influential people within early years education at the Nursery Management Today Power 20 Awards. Please click here to read press coverage about Margaret’s success. 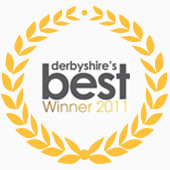 We opened Children 1st @ Leek Pre-School and Children 1st @ Buckinghams in Leek, Staffordshire. The opening of three nurseries, Children 1st @ Birstall, Children 1st @ Hathern and Children 1st @ Syston, brings the number of nurseries in the county to five. An OBE for Our Founder! The founder and chief executive of Children 1st Day Nurseries, Margaret Mason, received her OBE from the Duke of Cambridge at the Buckingham Palace investiture ceremony. The award was presented in recognition of Margaret’s services to raising the standards of early years education across the UK. A double celebration at Children 1st Day Nurseries as the company and its Main Street Nursery are both been ranked amongst the top ten nursery providers in the East Midlands in listings produced by DayNurseries.co.uk. Our 24th nursery, located in Bilbrough, Nottingham, brings extended opening hours, care for children aged 6 weeks to 5 years and year-round childcare which will be of benefit to the families in the area. We’ve been able to grow because parents appreciate the superb standards of care we provide to their children. We thrive on word of mouth recommendations and parents frequently tell their friends and family about the high quality of care and education that we offer. It’s not just our parents that tell us we’re doing a great job. Ofsted have awarded us an unprecedented 13 ‘outstanding in all areas’ inspections. We’re a Quality Counts Accredited company and Investors in People’s most recent visit confirmed that our ethos and culture – and the way we treat our staff – contribute to the high level of care we provide. 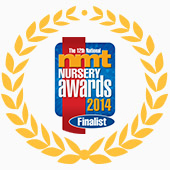 When your child comes to a Children 1st nursery they are also coming to an award-winning centre. 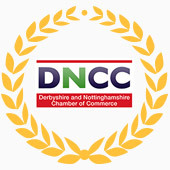 We’ve been named Nottinghamshire & Derbyshire’s Business of the Year and UK Nursery Group of the Year 2013.